This is a perfect eggnog recipe for larger parties. This traditional way to make the classic holiday beverage requires patience and time but is well worth the effort and sure to be a crowd pleaser. 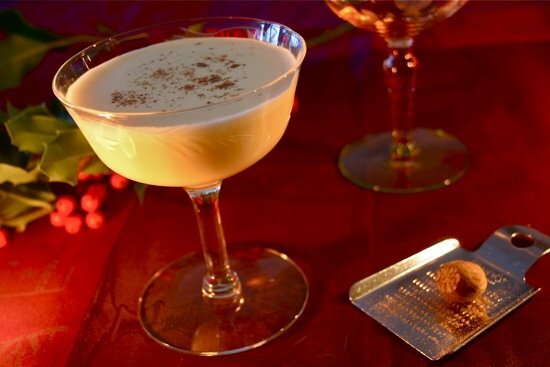 There are many variations of Eggnog, some cater to special diets like the Low Carb and Vegan Eggnogs, and some are just easier to make like the Brandy Eggnog, which is commonly found in bars. Eggnog is loosing some of its appeal as a Christmas classic so you’ll want to be sure to serve alternatives for non-nog-loving guests. Beat egg yolks, 1/4 cup sugar, nutmeg, salt and vanilla together until very thick and light yellow. Slowly beat in brandy (rum and whiskey are also popular alternatives) and milk. Gradually beat in remaining 1/4 cup sugar, beat this mixture to soft peaks again, creating a meringue-like cream. Then slowly pour this cream over the chilled brandy mixture, folding in gently. Serve the eggnog in a mug, Irish coffee glass, or punch cup and grate nutmeg over the top for garnish.